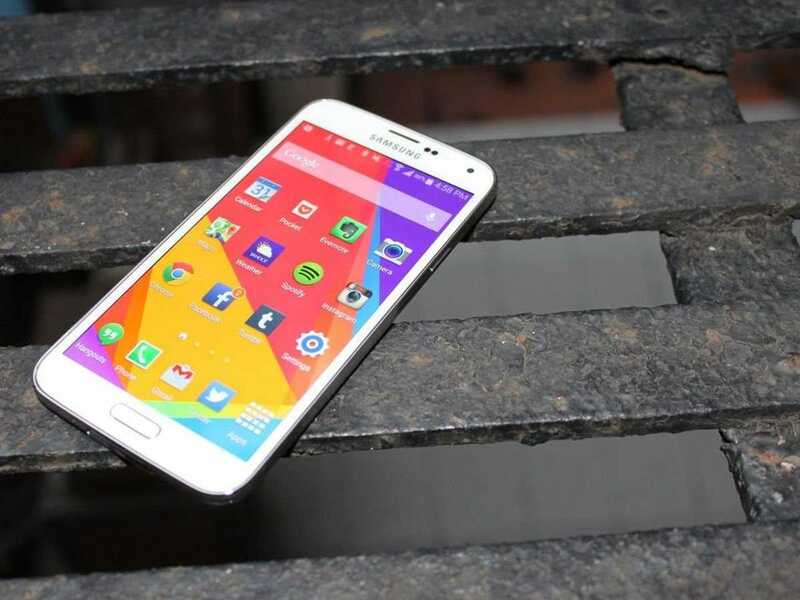 Within the next several months, your Android phone is about to drastically change. Google, along with its partners and carriers, is in the process of rolling out its biggest Android update yet, called 5.0 Lollipop. The update is meant to make your Android phone look and feel different thanks to an interface overhaul known as Material Design. But Material Design is more than just an Android facelift. It’s part of Google’s strategy to make all devices that run its software feel similar. If the company made anything explicity clear at its recent launch event for its new Nexus devices, it’s that Android is going to be everywhere soon enough: on our wrists, on our TV screens, and of course, in our pockets. 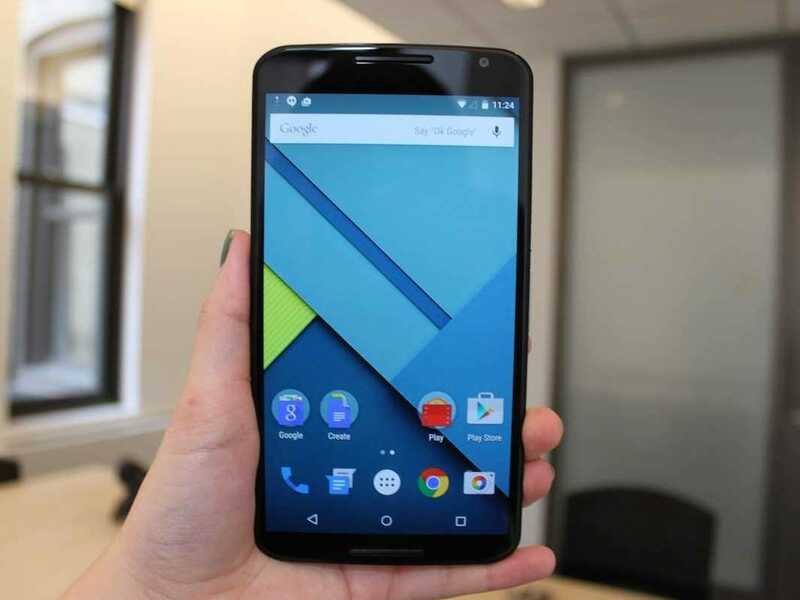 Although Lollipop has only launched on a small number of Android devices, it’s been in the making for years. 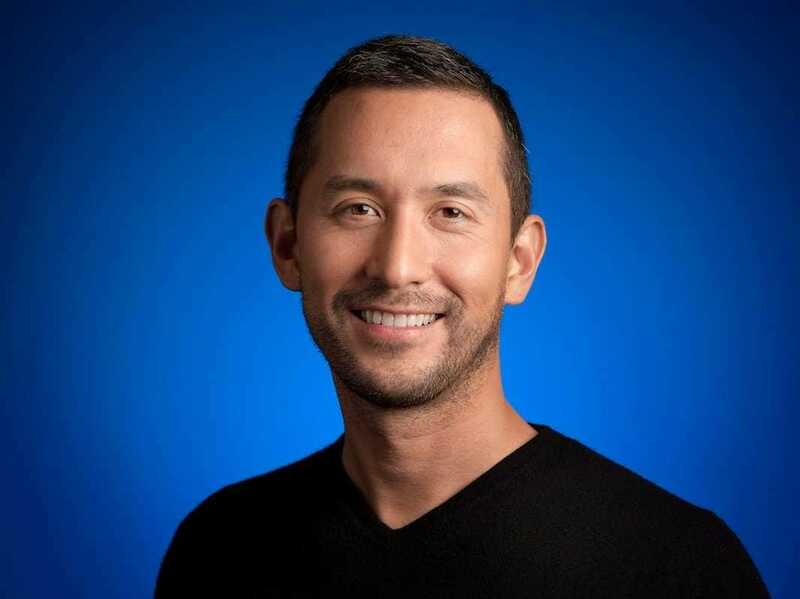 Android’s Vice President of Engineering Hiroshi Lockheimer, who has been with the Android team since 2006, sat down with Business Insider to talk about how Google prepared for its biggest Android update yet and what’s next. Business Insider: What makes Lollipop such a massive update for Android? Hiroshi Lockheimer: It’s not like we planned it to be this way. It just kind of turned out that way. There was a confluence of events. 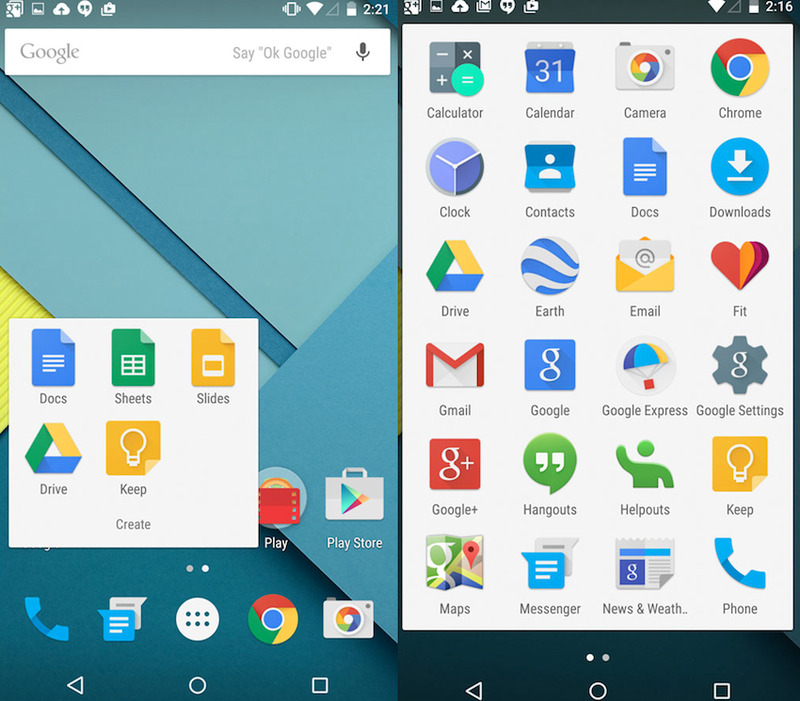 One thing was Material Design, the new user interface. That was a huge effort. It was a complete rethink of how the user interface would feel and it’s a lot more dynamic. So that is a big milestone. We also switched our runtime, which is kind of a technical thing. But from an end user’s perspective, the benefit of that is very tied to Material Design. The new runtime is a lot smoother in terms of how it schedules tasks. So the user interface is going to feel a lot smoother and more fluid. You won’t see the stutters you used to see. So we did that in conjunction to make sure all these new animations that we’re doing in Material Design are much more fluid. There’s also in the silicon industry, there’s a move to move from 32 bit to 64 bit, so we had that support also. So all these things are adding up together and made for a really big release. The other thing I would say that’s part of the Material Design change, it’s not just the operating system that changed. A lot of the applications that we build, for instance, have been updated to adhere to the material design guidelines. This is one of the reasons why we did something a little bit different this year by having a developer preview of Android at Google I/O in June. It’s the first time since we launched that we did that, and we did that for a reason because we knew this would be a big release and we wanted to give developers a lot of runway to get their apps updated. It’s a pretty exciting time. BI: What made you decide that this is the right time to totally change the Android interface? HL: Well, it’s been a multi year process. One of the things we do at Google in general, but also at the Android team, is iterate. 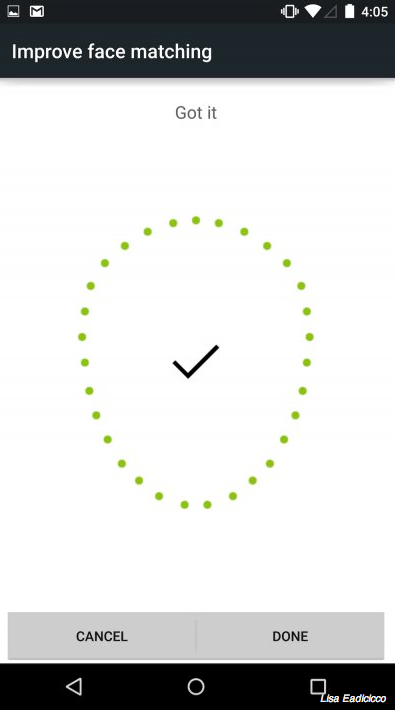 Focusing on the user interface has been an area we knew we wanted to iterate on for a long time. We did the first major UI overhaul with Gingerbread and Honeycomb back in those days and we’ve been planning for something like Material Design since then. It took a while to get the designs right. We wanted to perfect it. This won’t be the last time we’ll do a major UI overhaul. We’ll let things sit for a while, and we want to mature Material on all these different form factors too. BI: There’s been some management change throughout Android over the years. 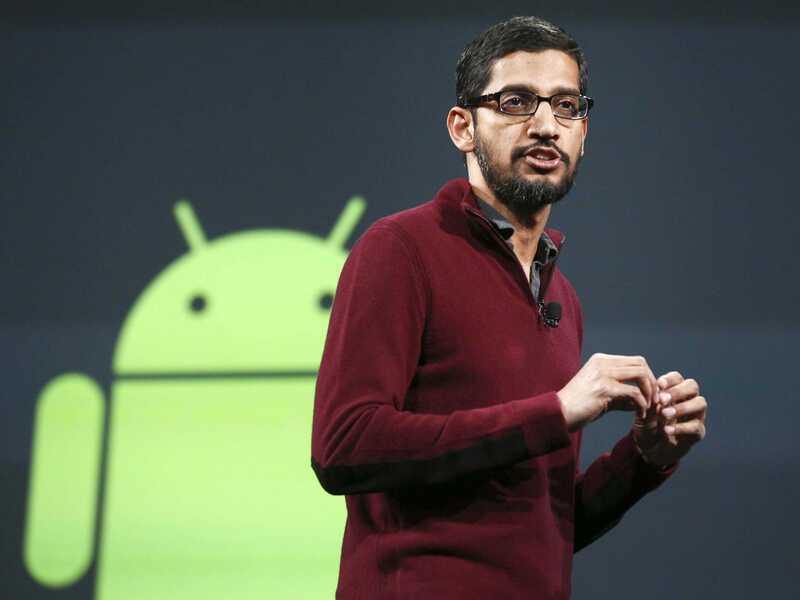 Sundar Pichai has been in charge of Android for the past year-and-a-half now. 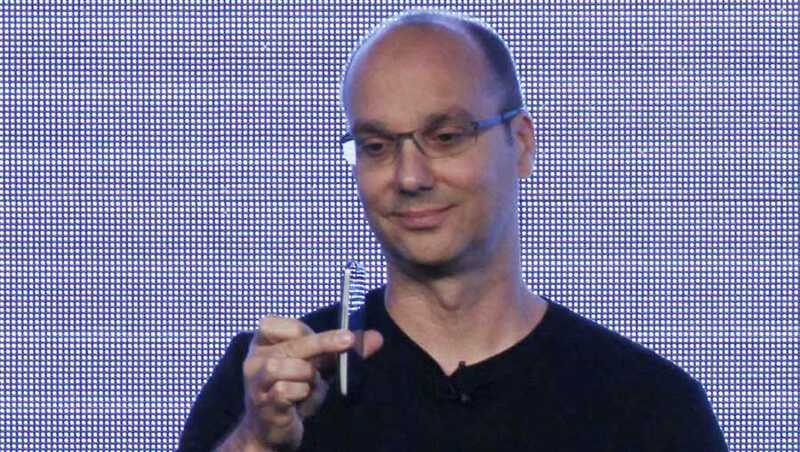 What has that been like compared to working under former Android boss Andy Rubin? HL: They’re different leaders, obviously, with different personalities. When [Andy] left, we made an announcement about the departure. He talked about, and I think the quote was something along the lines of, “He’s an entrepreneur at heart, he just wants to go back to his roots as an entrepreneur.” Meaning he wanted to focus on early stage projects. Andy had been doing that before [Google acquired Android]. Android has been around for a while. This is our 12th release. This is our sixth device. And we have a billion plus customers out there running software on their devices. So it’s a different kind of project now. I wouldn’t call it a startup, even though it’s kind of corny to say it, but it still does feel very much like a startup. We act that way internally and the team is a lot smaller than you would think. Reuters/Elijah NouvelageSundar Pichai is now in charge of all Google consumer products, including Android. BI: And how small is that? HL: You’d be surprised. Relative to the billion plus people out there, it’s actually a small number of people who are working really hard and as a tight-knit group to keep this operating system going. We do that intentionally because that’s our way of staying nimble and doing things quickly. Going back to your question, it was a personal decision on Andy, too, to focus on what he wanted to do, which is really small, beginning of a project type of thing. Not a billion person kind of product. And Sundar’s absolutely fantastic at that stuff. It’s been great. And hopefully you’ll feel the results are good. I guess this is the first year after Sundar took over in terms of products, so this is kind of the result of that. BI: So would you say this Lollipop release is the result of Android under Sundar’s leadership? HL: Yeah, absolutely. Kit Kat [the last version of Android] sort of started with Andy but finished with Sundar. Lollipop started with Sundar and finished with Sundar. So that’s absolutely been a big part of this. And as I said in terms of the team, we’ve been a cohesive team for a long time, the team has stuck together. We all work really nicely with Sundar. So it’s been great. Lisa EadiciccoGoogle’s Nexus 6, the company’s new flagship phone. BI: I want to go back to the early days when you guys first started working with Android after Google first acquired it. Not just the operating system itself, but inside Google the team has gotten so big. Did you guys expect it to explode like this? HL: When I joined we were about 20 people. Obviously we’re bigger now in terms of a team. And things have changed a lot. Back in 2006, maybe I should have been dreaming bigger. Larry Page would have told me I should have because that’s just how he is. But I didn’t expect this to happen. We knew we were onto something. We wanted to build a fully-featured operating system and give it away for free and no one had done that before. So I think our trick was, and I mean that in a good way, our secret ingredient was building a fully featured operating system, and actually building a product. This is kind of why we did Nexus devices. And over the years the basic recipe has been the same. We build software. We open source it. We make it available to all these manufacturers out there. And back in the early days it was HTC. Then HTC and Motorola. Then HTC, Motorola, and Samsung. People joining and building their own products on top. And that’s how we got to the scale we’re at now. And then with this year, one of our explicit goals was to then take that and expand this platform into other factors like TV. APAndy Rubin founded Android. He recently left Google. HL: That’s a good question. It’s a little inside baseball type of question, isn’t it? Most things are actually getting used quite a bit. Its not easy for us to be like, oh, well that’s not getting used at all. Cut it. We’ve really been focusing on iterating on features we’ve released and if we feel they haven’t been perfected yet we’ll take the effort to perfect them. An example in Lollipop is Face Unlock. LE: Right, so how is Face Unlock different in Android Lollipop? HL: I think that’s a perfect example. We launched Face Unlock in Ice Cream Sandwich and with the way it worked, there was a little bit of a lag. You needed to align the camera with your face, and it needed to process. It was a good idea, but the execution took too long in practice to use it. And what we’ve done in Lollipop actually is enabled this feature to start looking for your face before you even get to that screen to fix lighting and things like that. So it actually acts a lot quicker and the latency is lower, and it just makes the feature so much more useful. That’s the type of thing I’m saying is how we work on features. We’ll release something, and I think there’s always a nugget of good, but sometimes it takes the second iteration or the second round to really perfect it. And that’s been our model for a while. BI: Having a lot of variety is great for the consumer and it’s great for Android. But does it ever hurt Google as a phone maker? Samsung is huge and it’s the most popular phone maker next to Apple. Does that ever hurt you guys when you’re trying to push Nexus devices out? HL: I don’t think so. We’re not trying to compete with Samsung or HTC or LG. We’re not competing with ourselves. The main reason we do Nexus is to show, internally, for ourselves, without doing it in the abstract. That’s the worst kind of software to build — you kind of throw some software over the fence and hope someone ships it. We work with partners but we really treat these devices as our own during development. And then, yeah, we release it to the public who buys it. And of course we’re happy if a lot of people buy it, but it’s also good for us if they end up buying a Samsung or HTC device. That’s fine too. It’s a win win for us. We don’t really see it as we’re trying to take share away from someone else. Steve Kovach/Business InsiderSamsung’s Galaxy S5. BI: You work with so many different companies on Android devices. I’m sure that creates some fragmentation and issues here and there. Is there anything Google is doing to make things more seamless across devices? Because I could pick up a Samsung phone and it would look totally different from a Motorola phone, and the Motorola phones might get the update to Lollipop first, and that probably creates frustration for some people. HL: In many ways it’s by design. We knew from day one when we built the operating system that it wasn’t going to be about one company. It wasn’t going to be just about Google or HTC. It was always about a big ecosystem, a bunch of companies, there was an alliance of companies behind it. And it’s grown more since then. So the software itself was designed in such a way to handle, for instance, different screen sizes. It wasn’t an afterthought. And in many ways, in the early days, I think there were growing pains as we adjusted and application developers adjusted to that model. But now I think we’re reaping the benefits. It is about celebrating the diversity of devices. It’s not one size fits all.